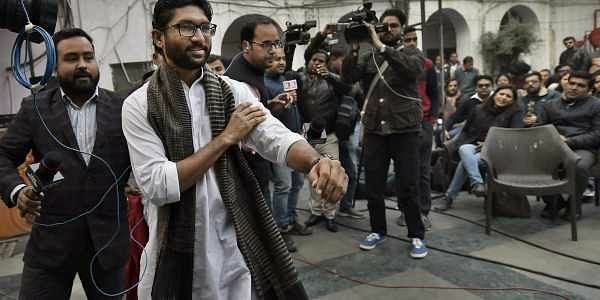 NEW DELHI: The Delhi Police today said Vadgam MLA Jignesh Mevani's request for holding a rally here tomorrow is still "under consideration", even as the organisers insist it will be held on pre-scheduled time. One of the organisers and former JNU Students' Union president Mohit Kumar Pandey said, "There has been a lot of attempts to stop this event and even some media houses are spreading wrong information that the permission for the rally has been denied." Ever since the rally was announced on January 2, "a lot of money has been spent on posters calling Mevani a deshdrohi (traitor) and urban naxal," Pandey told PTI, adding the event will be held as per schedule. Mevani could not be reached for his comments. In a statement, the organisers have urged the prospective participants to "assemble on the Parliament Street at 12 pm tomorrow".